This new edition of Kafka's famous story contains a critical introduction and notes which help to explain how the author achieves his particular effects. Amazon.com description: Product Description: Franz Kafka is one of the most important figures in twentieth-century culture. The fascination of his work has long since reached international proportions, and the concept 'Kafkaesque' has entered the English Language as an everyday part of speech. 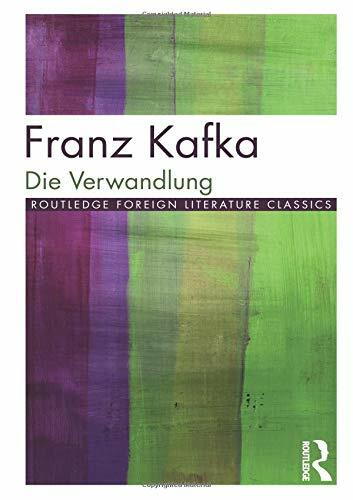 This new edition of Kafka's famous story contains a critical introduction and notes which help to explain how the author achieves his particular effects. The editors are concerned less with what the story means then with how it blocks and baffles its reader, provoking them into an interpretation through its combination of clues and counter-clues, its questions and its uncertainties. Careful attention is therefore paid to the 'openness' of the text, to point of view, and to Kafka's use of language. The editors also consider the important biographical and cultural influences which shaped the writing of the story, and they outline some of the very different ways in which it has been interpreted --biographically, socially and psychologically. A select vocabulary, aimed at the demands of the sixth-form pupil, is also included, and the text itself is taken from the original hardback edition.